John Cipollina, Greg Elmore, David Freiberg, Gary Duncan, and Jim Murray were the founding members of the San Francisco psychedelic rock band known as Quicksilver Messenger Service. During the 1960's, Quicksilver Messenger Service was one of the most popular and well respected bands playing in the acid rock scene. The band played alongside the other top legendary San Francisco bands such as Janis Joplin with Big Brother and the Holding Company, Jefferson Airplane, the Grateful Dead, and many other great acts. During his years of playing with Quicksilver Messenger Service, John Cipollina developed his trademark guitar style and sound. John's sound was defined by the technique of his guitar playing and the equipment he used to play the music. John Cipollina's guitar playing and his advanced ideas in equipment and special effects, helped make Quicksilver Messenger Service a great influence on many musicians. John Cipollina developed his own unique style of guitar playing that relied on the use of finger picking, while pulling on the vibrato bar of the electric guitar, and his own custom amplifier stack and controls. Wearing two plastic finger picks that were custom filed to shape, he picked and/or plucked the strings with his thumb and index finger. His finger picking style was initially developed in classical guitar training that he was provided in his youth, as well as his study of the style of finger picking employed by Chet Akins. As John became interested in studying blues guitar players, he brought together finger picking techniques from all the genres he had played to create his own unique style. John's finger picking style was married to his use of the vibrato bar, and then broadcast via his custom sound system. John was partial to a particular brand of vibrato bar known as the Bigsby Tailpiece. The vibrato bar is a metal handle attached to the tailpiece of the guitar, when the handle is pulled or pushed the strings stretch. The stretching of the strings creates a warbling vibrating sound, or perhaps better described as a sense of reverb. Furthermore the use of the vibrato bar often pushed the guitar out of tune. Once his guitar was technically out of tune, John could pull his notes back in tune by constantly stretching the strings with the Bigsby and listening for stop points with his ear. This style of guitar playing required constant attention and attack to maintain the level of intensity needed to create the Cipollina sound. 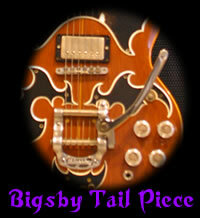 John Cipollina created several custom guitars that were designed to exploit the properties of the Bigsby Tail piece. 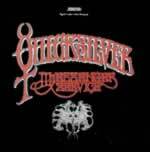 Quicksilver Messenger Service was a San Francisco dance hall band that made it's mark through live performances. Their concerts included performing in the San Francisco area at the Winterland, the Fillmore, the Avalon Ballroom, the Matrix, and the famous Monterey Pop Festival in 1967. Bill Graham, a famous music promoter, was a big fan of John's guitar playing and helped to promote the music of Quicksilver Messenger Service at venues across the country. 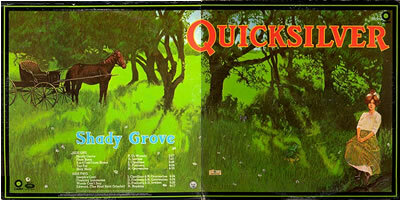 Although Quicksilver Messenger Service released many albums, John was mainly involved with the first three releases. These three albums are some of the great masterpieces of the San Francisco acid rock era. The first two albums relied heavily on the dual guitar work of John Cipollina and Gary Duncan, the bass playing of David Freiberg, and drumming of Greg Elmore. (Jim Murray quit the band before they started recording.) 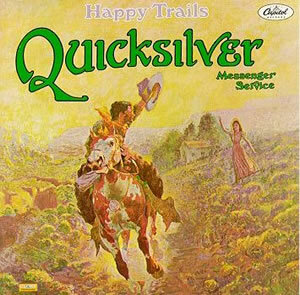 The self titled debut album was a studio version of the Quicksilver Messenger Service sound, followed by the "Happy Trails" live album. The third album was made without Gary Duncan, and featured Nicky Hopkins on Keyboards. While on break from recording and touring with the Rolling Stones, Nicky joined Greg Elmore, David Freiberg, and John to record a musical masterpiece titled "Shady Grove". After Shady Grove, John began to develop his own band known as "Copperhead" and spent less time working on projects with Quicksilver Messenger Service. He continued to work with Greg Elmore, David Freiberg, Gary Duncan, Dino Valenti, and others on Quicksilver Messenger Service projects during the 1970s.